You will find the Leaderboards settings on your WordPress admin area navigating to the GamiPress menu -> Settings -> Add-ons tab. 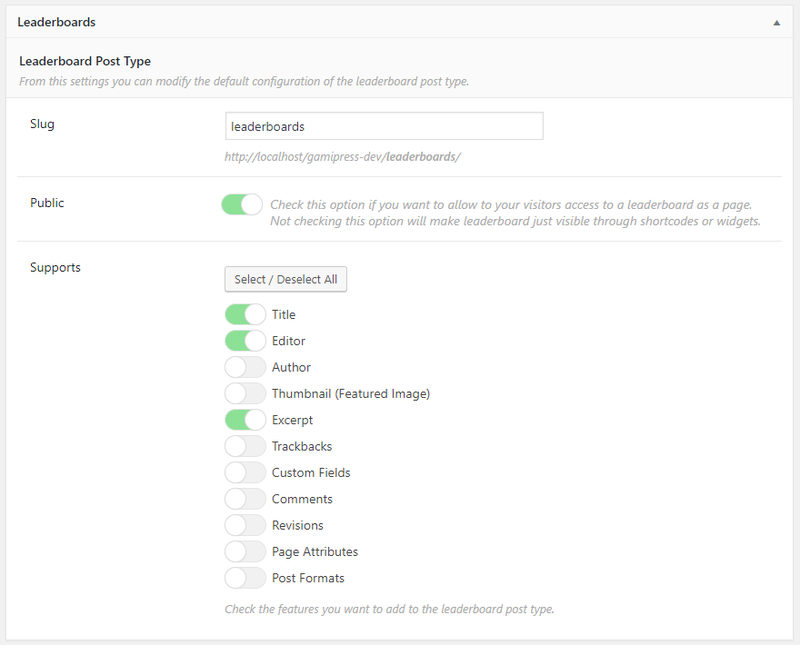 From this settings you can modify the default configuration of the leaderboard post type. Set the slug for the leaderboard post type. Checking this option will want to allow to your visitors access to a leaderboard as a page. Not checking this option will make leaderboard just visible through shortcodes or widgets. From this option you can enable/disable the features you want to add to the leaderboard post type.